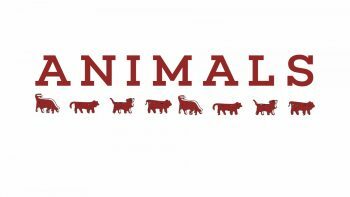 ANIMALS is the story of the intersection of local culture and international fashion. In the early 1990s, Swiss luxury accessories brand Bally introduced a series of sneakers with farm animals imprinted on the side and sole. These suede and canvas shoes, at $300 / pair, represented a luxury class obsession with the pastoral, but for some reason took off as a status symbol in New Orleans hip-hop culture, where they consistently sold out far beyond levels in other markets. Sold in the bespoke suiting store Rubenstein’s on Canal Street, the local obsession for these shoes created a culture collision, with young rappers and hustlers walking into hushed retail interiors previously reserved for the white upper class in New Orleans, dropping bankrolls of cash to purchase the Animals for status and style. ANIMALS explores this local obsession as a part of New Orleans’ history of urban dandyism, as well as investigates how luxury brands respond to street style appropriation, while painting a portrait of NOLA hip hop culture in its nascent form.